On Christmas Day in 1886 Paul Claudel attended High Mass at the cathedral of Notre Dame in Paris. He was not particularly moved by the ceremony, which probably was presided over by the newly appointed archbishop. Claudel left and then returned for vespers. “It was the gloomiest winter day and the darkest rainy afternoon over Paris,” he wrote. He listened to the psalms and the Magnificat. 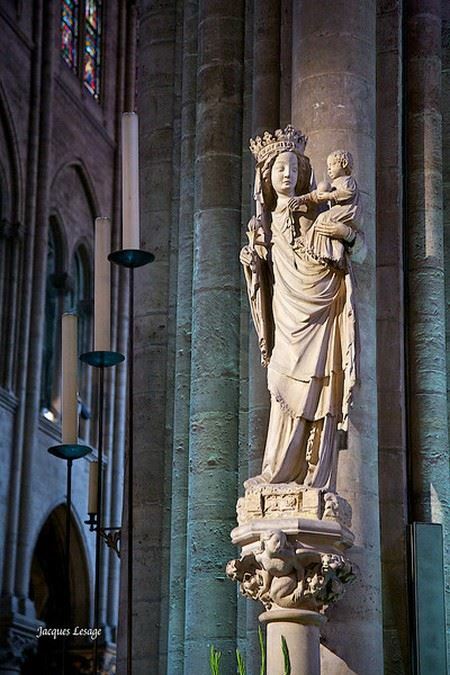 For the rest of his life he recalled that he “stood near the second pillar at the entrance to the chancel, to the right, on the side of the sacristy.” There one finds a fourteenth-century statue of the Virgin and Child. “Then occurred the event which dominates my entire life,” he wrote. THE VAULT HELD!!! the fire stayed ABOVE it!! Only a small part of the vault collapsed. 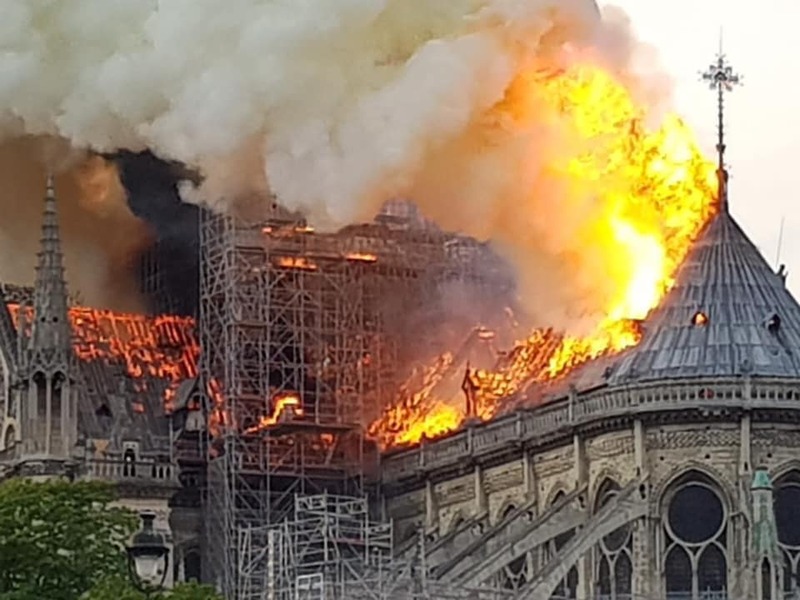 The interior seems to be relatively untouched. 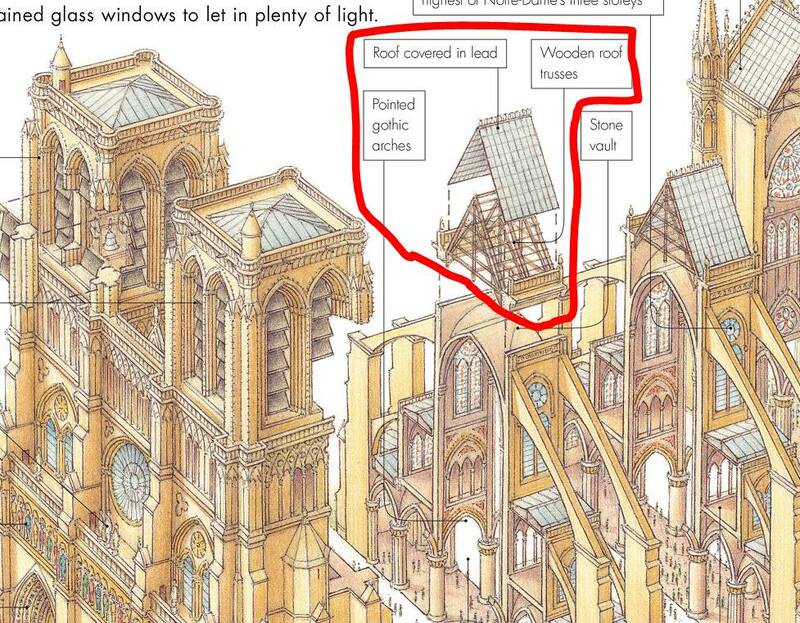 Apparently the great rose window is intact, though the two smaller ones (the north and south windows) are probably gone. 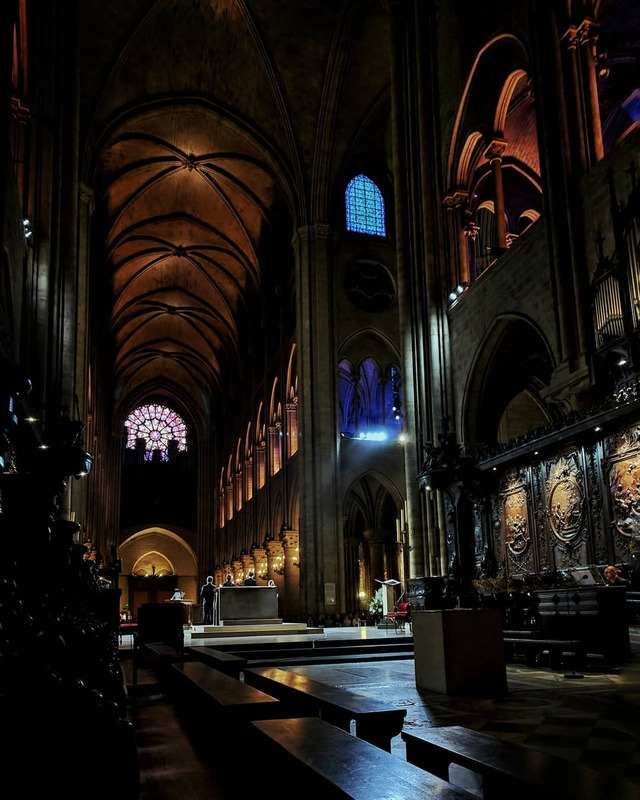 French reporter who was allowed into Notre Dame de Paris with President Macron on a brief 5-7 minute tour is saying the inside is largely preserved, with the Altar and the walls intact, even the rows of chairs still in place. There is a massive hole in the roof obviously. 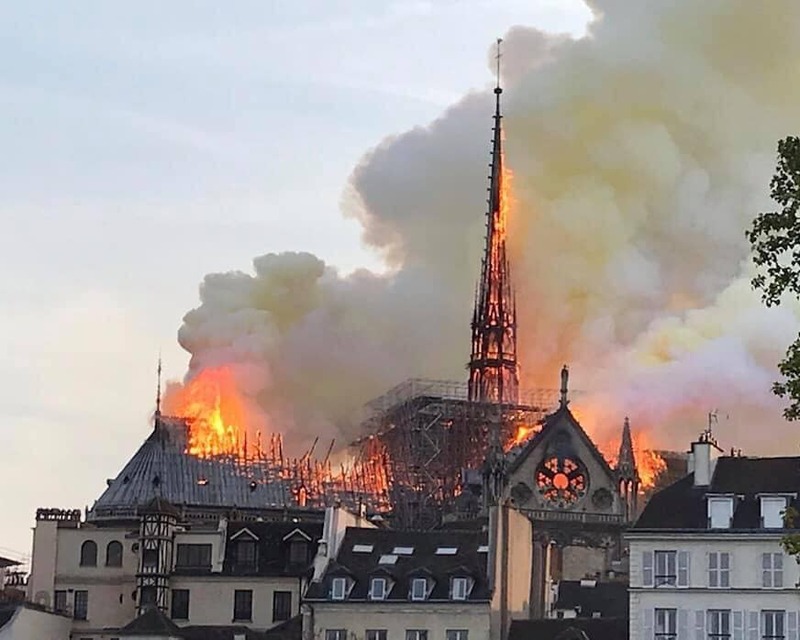 The Crown of Thorns and the Cloak of Saint Louis had been removed previously safe.